These last few weeks I’ve been having lots of company. My kids are running in and out of the house, other parents drop by; friends come to see ma… such an exciting time! So obviously, my house gets inspected a lot. 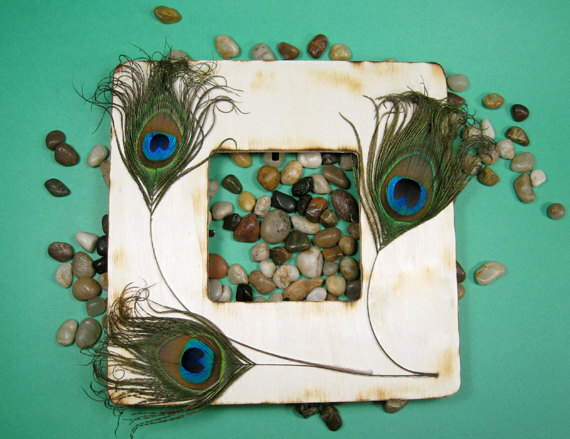 So while looking for redecorating ideas, I found the cutest feather frames! 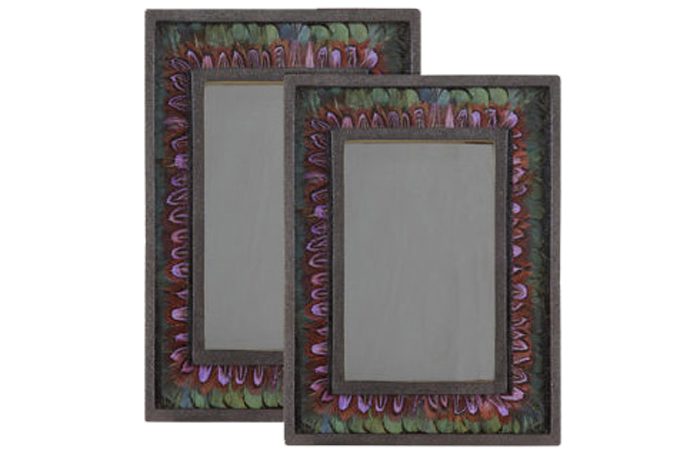 They’re the perfect eye catcher – and can really complete a room. 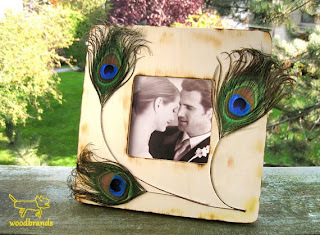 I found this feathered frame on etsy. Simple, neutral colors accented by a blue, green, and brown peacock feather really will frame your family – or beloved pet, in a classy, refined setting. Also, perfect for black and white pictures! 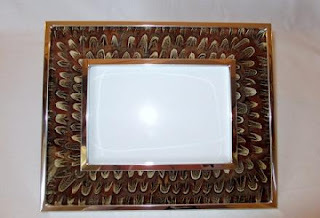 Another refined frame, found on Pomegranate, uses pheasantfeathers that are hand placed. Yes, you read that right. Someone sat and attached these delicate feathers one by one. A great addition to any room! The bronze tone and color scheme means it works especially well with a wood-floored room. Or, if you really want the frame to pop, hang it on a brightly colored wall! Not to be outdone, Barneys jumped on the trend to! This beautiful frame, found on Laura Day, really accentuate the feathers’ summer colors. Check out that red-pink on top of the subtle green-blue. Simply gorgeous! How are you using feathers to spruce up your home? Let us know in the comments below!